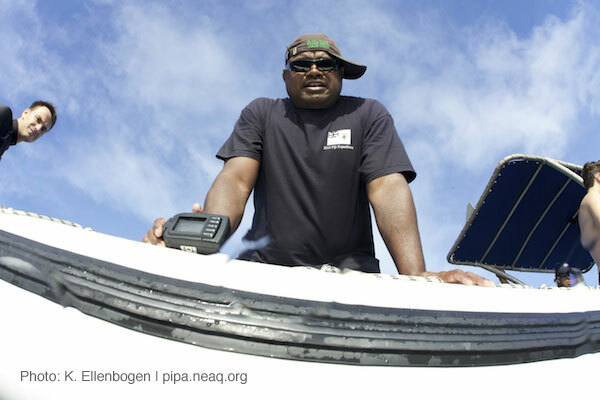 Photographer Keith Ellenbogen, a regular Aquarium blog contributor, is on the expedition capturing stunning underwater photos of marine life as well as the essence of life on a working research vessel. Here are some of the fish he photographed off Rawaki Island. If you've ever been to Rawaki Island, you would laugh if someone mentioned their visit to the Rawaki forests. Afterall, the island is tiny and treeless and highly exposed... terrestrial Rawaki is an important nesting ground for seabirds, but it hardly known for it's vegetation. Within PIPA, it is part of the pest eradication project (read more about that here), but again: no forests. 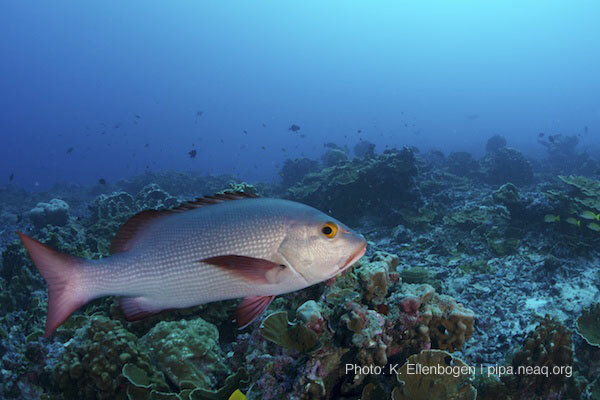 A vampire snapper lurks in the deep dark coral forests of Rawaki. 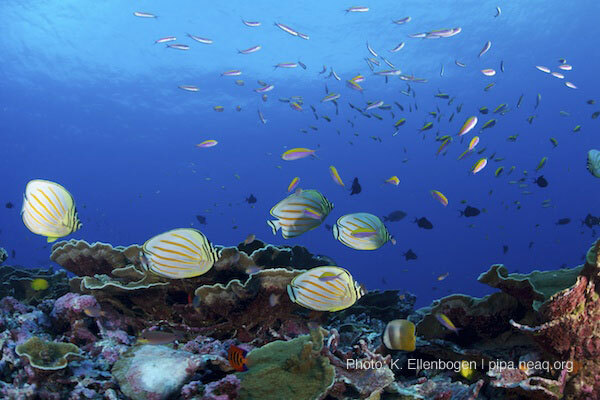 Teeming with anthias and a few jacks patrolling the scene, Rawake reefs are full of life. Every forest has it's wolves... or sharks, in this case. 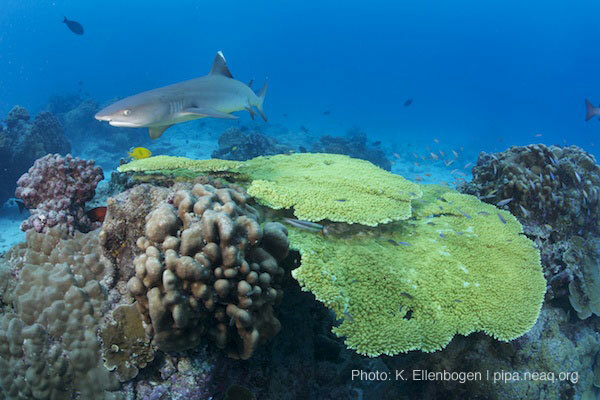 Can you see the fish hiding amidst the coral structure? 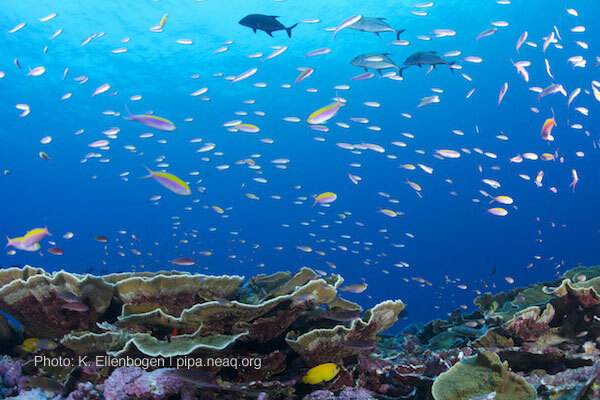 Planktivores, herbivores, and corallivores abound in this photo - high in the water column with no predators in sight. Descending to the forest below! 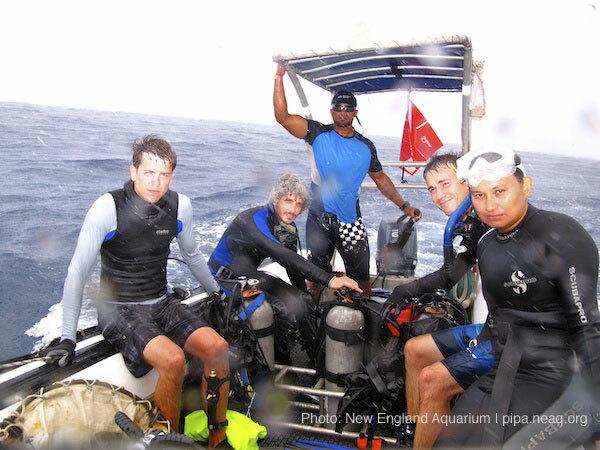 Dive master Mo proudly wearing a 2010 New England Aquarium/Monterey Bay Aquarium Fiji Expedition t-shirt. He says hi to Bailey. Rough seas and bad weather in Rawaki alter the course of our exploration to the windward side of Rawaki Island, but the serenity below makes up for the roughness above!